Silver is the basic element designated as Ag on the periodic table with an atomic number of 47. It appears white with an unmatched shine that gives it an attractive luster. 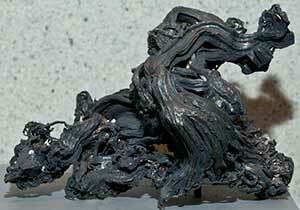 It is unique because it has the highest electrical and thermal conductivity of any known element. Because of its scarcity and luster it is often viewed as a precious metal used in jewelry, coins, and high-priced eating utensils. It is a soft metal, just a little harder than gold, and is extremely ductile and malleable meaning it can be bent or beaten into almost any shape. It is a reflectable material although it has some trouble reflecting ultra-violet light. Unfortunately it can be easily tarnished when exposed to ozone or hydrogen sulfide, creating a black outside layer of silver sulfide. Silver is almost never found in its pure form and is usually mined by refining other metals like gold, and extracting the silver. Silver has many uses and is prized both for its practical applications and its beauty. The term sterling silver refers to an alloy of 92.5% silver and 7.5% copper, which creates an alloy greater in strength than either metal. Sterling silver is used for silverware, hence the name, and other uses, such as high-end musical instruments. Some flutes, for example, are made from sterling silver. Though not as rare as gold, silver is a valuable metal and is often utilized as jewelry. Sometimes silver is mixed with gold to form "white gold." Silver is most useful because of its electrical and thermal conductivity, the highest of any known metal. However, its cost and the ability to tarnish readily prevents its wide use in conductors. Silver is also used in high end mirrors, with aluminum used in low end mirrors. Though not used widely today, silver is often handled as currency. Silver when mixed with other metals including mercury creates a useful alloy utilized in dentistry, filling tooth cavities. Silver is used often in the production of photographic film, but this has declined in the last decade due to the uprising of digital photography and printing. Silver is not a natural or needed mineral in the human body. As such it can have some harmful effects if consumed, though not nearly as harmful as similar metals, like mercury. However, silver has a toxic effects on some bacteria and viruses. This is why silver is used in silverware and other products as a disinfectant. In older days silver was used to store liquids such as milk and water. It was also used as an antibiotic before the invention of modern antibiotics. During the 18th and 19th century sailors would put silver coins in the water to disinfect them. Pioneers trekking the plains would do the same. Today, some of the same principles are used. Silver is still applied as a disinfectant and is integrated into clothing, kitchen utensils, etc. The name "silver" comes from the Anglo-Saxon word seolfor. The chemical symbol Ag comes from the latin word argentum. 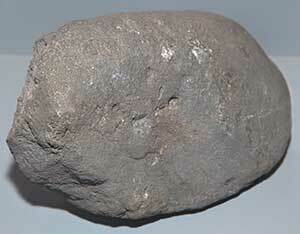 Silver was used as early as 4,000 BC and is mentioned in the Biblical Book of Genesis. Around 700 BC it was used as an alloy with gold called electrum, and used in currency. The Greek and Roman civilizations used silver as an antibiotic and disinfectant, a use that remains to this day. During World War II, silver was used instead of copper as a conductor due to the copper shortage of the time.